North Shore Day Camp’s entire program is designed to give campers the edge they need to succeed in every aspect of their development into young adults and beyond. We have built a program on a foundation of safe and fun play created to promote the kind of growth that gives every child “the edge” they need to reach their highest potential. What we start at NSDC our campers carry with them for the rest of their journey into adulthood–and it makes a difference. 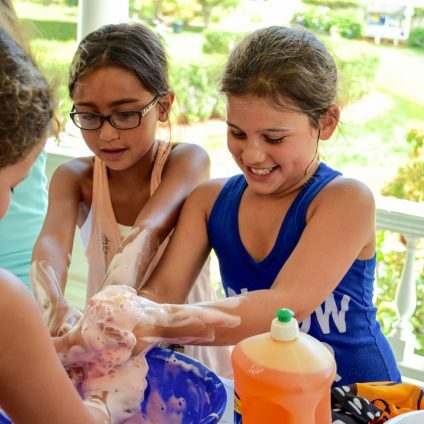 Our unique STARFISH VALUES PROGRAM teaches campers the importance of strong character, good values and understanding each individual’s important part in the well-being of everyone around them. 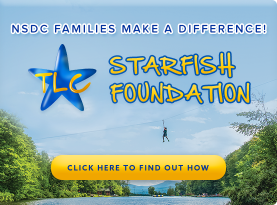 STARFISH is a part of every aspect of camp. Our campers get “the edge” in developing motor skills while perfecting skills in key sports and other activities all designed to ensure that they fully enjoy the experience of playing sports. No matter what the level – everyone improves. The true key to success in life is happiness. And the basis of happiness is in knowing how to build and keep relationships. At NSDC, the core of what we do is teaching, practicing and perfecting the two essential skills of relationships: making and keeping friends. Self-esteem and confidence are an essential part of navigating the world around us and building strong, emotionally healthy adults. We create an emotionally safe, nurturing environment at every level of play and we train our staff and team of coaches on the importance of ensuring that campers leave us feeling better about themselves and more self-confident. In life you don’t always win, make the critical shot or accomplish what you set out to achieve. We instill in campers the competence of grit, teaching them to learn from their experiences and the importance of getting up and bouncing back from disappointments. Featuring an introduction to our famous “Club” electives program, campers select their favorite activities weekly and enjoy them EVERY DAY. Activities include Adventure High and Low Ropes, Computers, Golf, our Fine Arts Village and the chance to star in a full-blown Musical Production. Our 2nd grade campers also get to enjoy their first LATE NIGHT at camp, where they stay late and get the campus to themselves for an exciting scavenger hunt, group games, pool party with music and a BBQ! League sports begin on an every other day basis, alternating with a second Club Elective period. 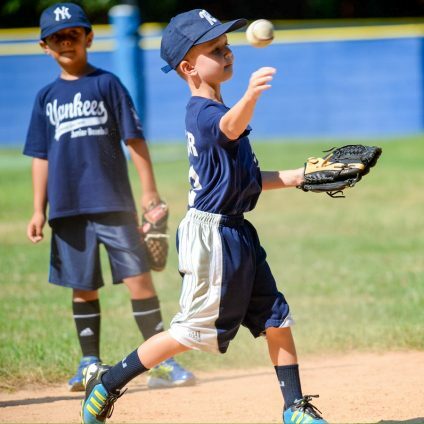 League teams are divided equally by ability, and our emphasis is on good sportsmanship and building self-esteem. Our 3rd & 4th graders travel off campus 2 times a week for exciting days trips during the summer (i.e. Active Kidz, Laser Tag, etc). They also enjoy an overnight at camp where they get the campus to themselves for a variety of fun activities including an evening activity that ends with a camp fire and S’mores!